After qualifying for the playoffs 25 years in a row, for the second straight season last year they missed the playoffs... by 24 points. The Detroit Red Wings finished the 2017/18 season with a disappointing 30-35-13 record good for 73 points and a fifth-place standing in the Atlantic Division. They were 28th in the NHL in goals scored and 24th in goals against. Their power play didn't rank much better by finishing 24th and the penalty kill was 23rd. For a team who had made the playoffs for 25 consecutive seasons, they are in a long, slow rebuild and it can be painful for fans who only worried about when the playoffs started as opposed to IF they would qualify. They added goalie Jonathan Bernier from the Colorado Avalanche and forward Thomas Vanek who may just be trade bait come the trade deadline in February. Because of their poor last season, they drafted at the sixth spot and landed a jewel in Filip Zadina who fell several slots lowered than expected. He is a sharpshooter and has vowed to "fill the net" whenever he plays against the Montreal Canadiens, Ottawa Senators, or Arizona Coyotes who passed on him. - Filip Zadina scores 30 goals and gets revenge on the teams who failed to select him in the draft and helps his new team gain some respectability. - The two goalie system works out giving starter Jimmy Howard some needed rest as Bernier comes through for some valuable relief. - Henrik Zetterberg miraculously recovers from his back ailments and plays most of the season. - The defense tightens up at the same time as the offense takes off and Larkin goes berserk scoring 40 goals. - The Red Wings finish low enough to have a lottery shot at the first overall pick, Jack Hughes. - Zetterberg is done for the season and calls it a career (fairly likely). - Bernier fails to come through in relief of Howard between the pipes and the defense continues its fatal lapses. - Zadina is all talk and no action as he fails to score 10 goals in his rookie season. - The Red Wings not only fail to match last season's mark of 73 points and the rebuild is broken. It doesn't appear that Zetterberg's injury issues will decrease and without him, the Red Wings are a completely different hockey club. 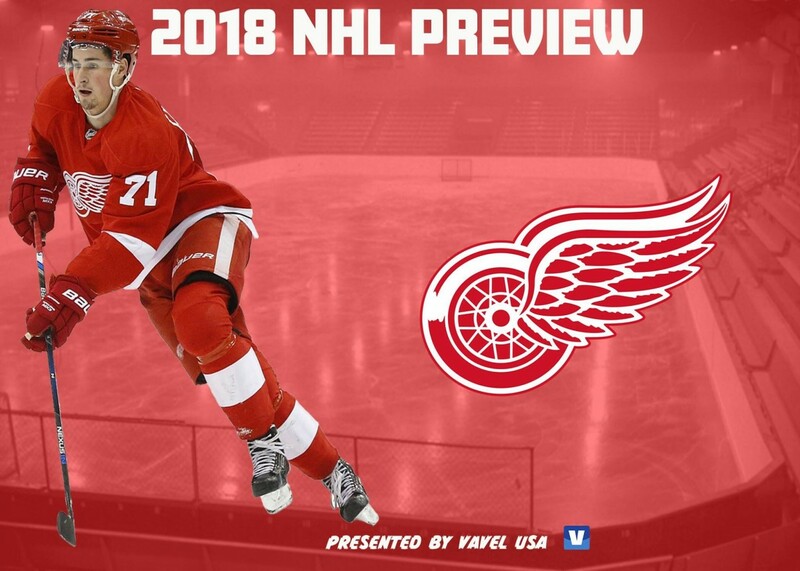 Larkin is their one bright shining star and if Zadina can come through and be the scorer he was in the Quebec Major Junior Hockey League (QMJHL) where last season he scored 44 goals, 38 assists and 82 points in 57 games... then the Red Wings may dodge a bullet of landing near or below last season's performance. There just doesn't seem to be too much hope for this team to get anywhere near a playoff spot with the Tampa Bay Lightning, Toronto Maple Leafs, and Boston Bruins all quality teams ahead of them. Therefore it is a safe bet to say the Detroit Red Wings will finish in the 72-75 point range this season and be just as far from the playoffs as they were at the end of last season. Do you agree with my prediction and where do you see the Detroit Red Wings finishing in the East? Let us know in the comment section below and be sure to give us a follow on Twitter by searching (VAVELNHL_ENG).